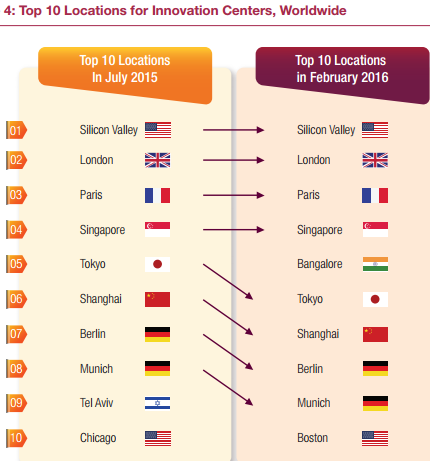 Silicon Valley is no longer the capital of corporate innovation, says Capgemini Global study. The country has seen a significant increase in the number of innovation centers, often centered on Bengaluru, which some have dubbed the “Silicon Valley of India”. It is estimated that $9 Billion was invested in startups in India in 20154 . In this fertile environment, Airbus and Visa have set up innovation centers in India. Digital has accelerated the pace and potency of innovation. No period in history has seen so many industries reinvented in such a short timeframe. The list of disruptors is long: Uber in transport, Airbnb in travel, Tesla in autos, Amazon and Alibaba in retail, Netflix in entertainment. The list of victims is even longer. 52 per cent of the companies on the Fortune 500 list in 2000 have since been bankrupted; bought or closed. As per a Capgemini report, India has been rising in the ranks of favorite destinations to open innovation centers and breaks in TOP 5 global locations for innovation centre with Bengaluru city. 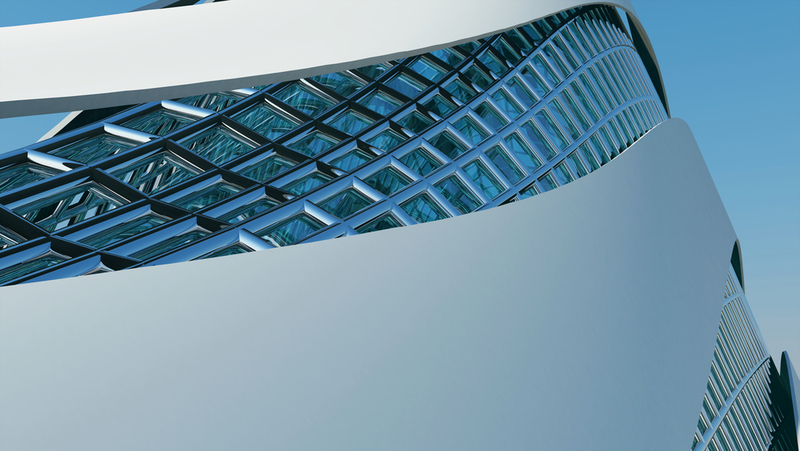 Capgemini’s previous research identified eight innovation centers in India in July 2015. India has since seen eight more innovation centers open their doors. 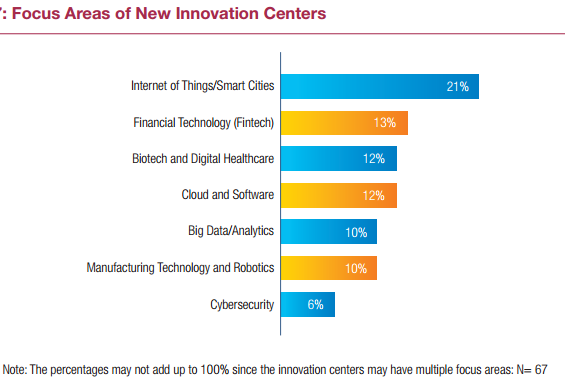 Bangalore has been the most favored city with four new innovation centers. The younger firms mentioned above are just as likely to invent a category's 'next big thing' as the R&D arm of a major conglomerate, perhaps more likely. This shift poses an urgent problem for incumbents. The report revealed that businesses continue to struggle with innovation and that the current R&D model is ‘broken’. Not only are businesses failing to understand the pace of change, the majority lack the requisite structure, knowledge, skills, culture, risk tolerance and confidence to rise to the challenge. The report will analysis, overall trends and give a sense of the future of innovation in different geographies across the world.